Give your family the perfect combination of comfort and convenience. Have the experts at Corbin Comfort Systems service your HVAC equipment so that you enjoy reliable heating and air conditioning all year. Our knowledgeable technicians offer prompt service, professional repairs and fair pricing. We work hard for our customers. We’re family owned and operated. Each member of our team understands how valuable your time is and how important a reliable heating and air conditioning system is for your family, your customers and yourself. Our HVAC services fit your needs and your schedule. We perform all types of air conditioning and heating services for local customers. Our technicians install new equipment featuring the latest advances for improved comfort and efficiency. Each phase of the job is completed with precision so that your new heat pump, furnace or air conditioner runs optimally. As part of our commitment to delivering the best service to customers in the local community, we employ technicians who have earned advanced certifications. Rigorous training helps our employees complete repairs and tune-ups efficiently without overlooking any detail. These are a few of the residential and light commercial air conditioning services that we perform. Since 1988, we’ve been committed to learning and improving so that we provide the best service to our customers. We value your comfort. Our technicians are certified and regularly received training to keep up with our fast-changing industry. A heating breakdown is unpleasant, but we’ll make sure that you have a positive experience by offering fast, responsive service without sacrificing quality. Whether you need a repair or a tune-up, our goal is to provide convenient service and superior workmanship. Your comfort guaranteed in writing. Our service areas include Lake City, Peachtree City, Jonesboro, Fayetteville, McDonough, and surrounding areas. Here are a few ways that we deliver on that promise. You can schedule emergency AC repairs 24 hours a day. Convenient appointments are available throughout the week. You can depend on our service technicians to arrive on time. We’re committed to providing excellent HVAC services at fair prices. We stand behind our work by offering a 100 percent satisfaction guarantee. Our employees receive ongoing training to stay current with the latest technology. We employ technicians certified by North American Technician Excellence (NATE). We’re a locally owned and operated HVAC company. Corbin Comfort Systems is licensed, bonded and insured. 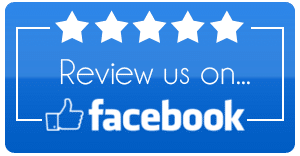 Great service, personal service, they have helped us with our air conditioner needs for many years. They are the Best!!!!!!! You can learn more about our heating and air conditioning services online or by calling Corbin Comfort Systems. Our friendly, helpful HVAC professionals will be glad to schedule a service call or to give you an estimate. Could Your HVAC System Be Triggering Your Child’s Eczema?